The Dell XPS is a really awesome laptop, but after a while, you might feel that it’s getting slower and slower. It’s time for an upgrade. The two most common upgrades are to upgrade the ram and the SSD. These two upgrades are quite easy to do yourself and we will cover exactly how you can do it in this article. If you are thinking of doing another upgrade, read the section about other upgrades. The general advice for upgrades that aren’t the ram or the hard drive is to consult with dell and let a professional handle it. If you have a Dell XPS 13 you can’t upgrade the ram. However, if you have a Dell XPS 15 laptop, keep on reading. Upgrading the ram on your Dell XPS laptop is one of the easiest ways to improve the performance of your notebook. The first step is to figure out how much ram you’re going to need and how much ram the laptop can handle. How much ram your laptop can handle depends on two aspects, what operating system you have and if the motherboard of the laptop can handle it. If you run a 32-bit version of Windows, it will only support 4GB of ram so make sure you have a 64-bit version of Windows installed. If you are uncertain of how much ram the motherboard can handle, your best bet is to read the documentation of the laptop or the documentation of the motherboard. Upgrading the SSD is often worth it and can seriously increase the performance of your Dell XPS laptop. 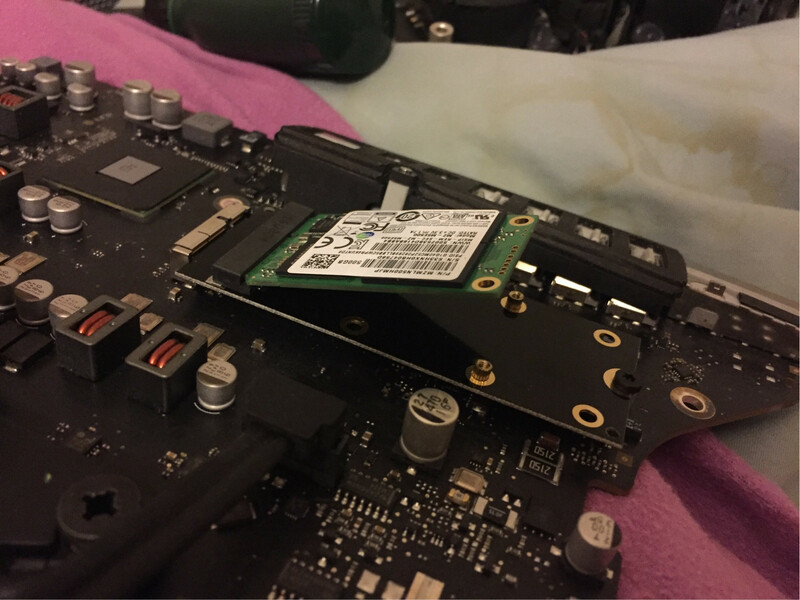 Unlike with the RAM, it’s quite easy to figure out if an SSD will fit with your laptop. As long as you go with an m.2 SSD such as the 970 Evo, you won’t run into any problems. Upgrading is pretty straightforward. You can follow this guide on how to upgrade the SSD for Dell XPS 13 or follow the video above. There are many other components in your Dell XPS you might be thinking of upgrading that isn’t the ram or the SSD. You can attempt to do these upgrades yourself, but I would advise you not to unless you have talked with someone at Dell about it. Contact the Dell support and consult with them if it would be a good idea or even possible to do the upgrade you’re thinking about. Many more advanced upgrades can often be hard, and it’s usually best to let a professional handle it. If you decide to let someone else do the upgrade, I would recommend sending it to a Dell-approved or direct service, so you get the best service for your laptop. A computer keyboard is primarily an input device that is used for typing documents, playing games and all other possible functions and actions with a computer. The number and choices of keys present in them differ from one system to the other depending upon the structure and plan designed by the manufacturer. But they primarily contain all the alphabet keys that help in typing and come to the basic functional keys. A keyboard is a computer in itself except for the display part which is seen with the desktop and laptops. They have their own processors and various circuits that help in the transmission of data and inputs to and forth the system. Like how we have a variety of the systems and laptops available, similar is the situation for a keyboard. These keyboards are of course the inevitable parts of a computer and selecting to have the right one is like a do or die situation especially when comes to gaming zones. 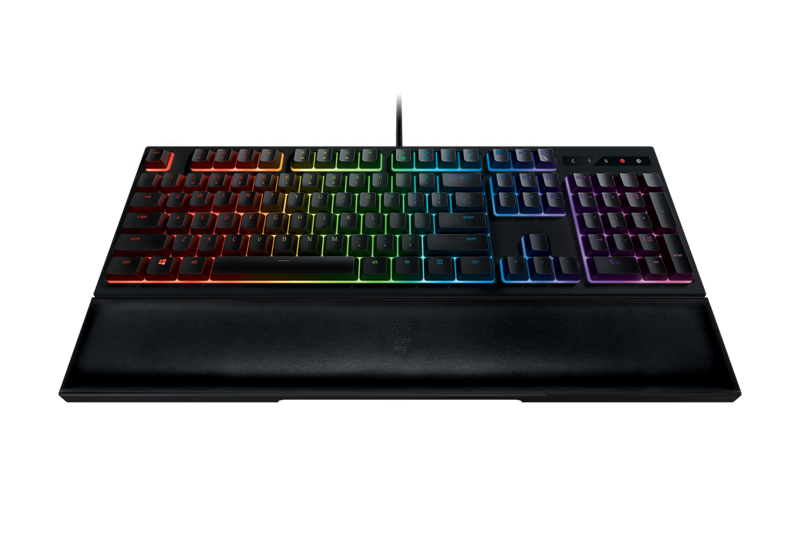 Yes, this keyboard can help you do wonders when you are in a freaking situation in a game and it is this input device that is going to take you levels ahead. Even the slightest mistake in pressing or hitting a key would cost you badly. So be very careful in purchasing the right one that would suit your fingers and hand operations and also be cautious about what you are going to hit. Many might think that a mouse can easily replace a keyboard. Of course, they can but not completely. Not all the functions of a keyboard can be taken up by a mouse especially the typing part and hence a perfect keyboard has to be matched with a perfect mouse and it is this pair that is going to help you work wonders on the screen. There are umpteen number of choices and preferences when comes to purchasing a keyboard. They range from the lowest to the highest and there is definitely one for all pockets. Whether you or in a war field or on a treasure hunt, it is a must you have one and the market has definitely a piece in store for you. Here are some decent affordable options for you to choose from depending upon your gaming requirements. 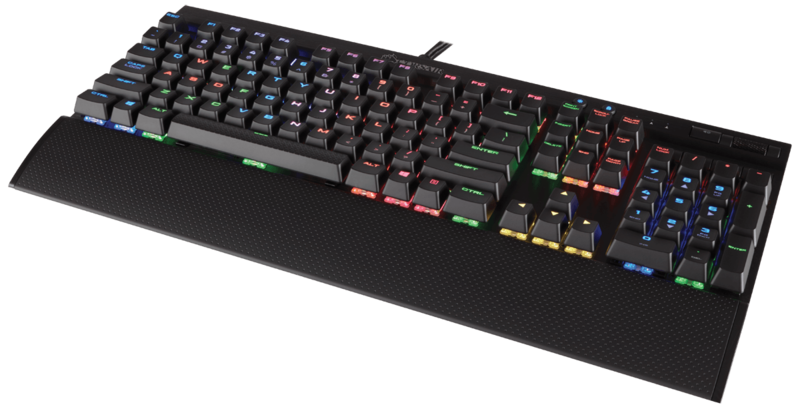 Corsair K70 RGB Rapidfire – if you want your keyboard to think and react before you, then this is the right choice for you for this is a piece that is known for its speed and accuracy in operations. 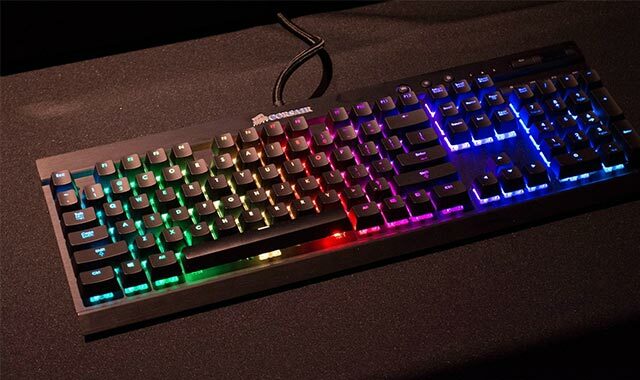 It comes with super sensitive keys that come beautifully lighted in RGB lighting giving it a highlighted look. Razer Ornata – this is a unique piece that has achieved the herculean task of combining both the mechanical and membrane keys into a one-piece keyboard and it is commonly known as the mecha-membrane keyboard. This helps the user to have an enhanced and easy typing experience and makes his work an efficient one. Nowadays a gamer cannot do without a gaming headset. Gaming headsets have become popular as they are able to cut off the outside noise and thus provide a better sound quality. You can find decent speakers even in the best gaming notebooks under 500 bucks. But that shouldn’t stop you. A gaming headset also acts as an interface to communicate with other online gamers without actually typing. In simple words, it also helps to talk or make strategy with other gamers online. This helps to improve the gaming experience. The market as such is flooded with a variety of headsets. It becomes absolutely necessary to look into or consider certain factors before buying the headset so as to enhance the gaming experience. The first thing we need to check for is compatibility. For this, we need to familiarize ourselves with the gaming platform that would be using the headsets. Mostly the headsets can be used on varied platforms, but, there are certain ones which are very game specific. It is but obvious that one intends to spend some time on the game. Ideally one would look for headsets that fit around properly without feeling too heavy and or squeezing into the face. Although comfort is a key factor while considering headsets for some others it might be a matter of looks and style. Though not intended for real abuse a good headset should be able to withstand a certain amount of rough handling. It is observed that the slightly more expensive ones are more durable than its cheaper counterparts. A gamer often communicates with other online players. This calls for the need for a built-in microphone. A good headset provides high-end noise cancellation so that the chat with fellow players is crystal clear. Another key feature which would add to the gaming experience is the sound quality. It is observed that gamers are particularly fond of headsets capable of powerful bass. Simulated Surround sound mostly available in high-end headsets, is also welcomed as it adds to the gaming experience. Closed headsets have a solid cup around the speaker and ear piece that completely isolates the gamer ear from the outside. This is most suited if you are gaming place has a lot of surrounding or external noise you do not want to hear while gaming. It also helps to retain the sounds in the headphone so people around are not disturbed. The main advantage for the players is that they can hear the slightest details, with the closed design even in noisy environments. Open headsets, on the other hand, have a perforated ear cup that helps create a more natural and subdued sound quality. However, the main disadvantage of an open headset is that it lets in more of the surrounding or external noise. Similarly, they also let more sound out, so people around you can also hear what you hear from the headset. Open headsets are recommended if the gamer wants to be aware of the noise around him and also provide ventilation to his ears. Obviously, a wired headset would lead to tangled wires and restricted movement. The wireless gaming headset seems a better choice as it eliminates the chances of tripping over thus making it a safer option. However, the main drawback of these type of headsets is interference due to fluctuating signals because these use wireless networks like Bluetooth, etc. Finally, in addition to all these factors, the budget also plays a key factor in deciding the choice of headset. What Is A Sound Card? Why Do You Need One? People enjoy gaming, not just because it is an easily available time killing option, but also because of its everlasting, dramatic and surreal effects. Gaming can certainly be your favorite past-time and at the same time a stimulating companion. Gaming is so compelling and hence people are not ready to lose any of its features by refusing to buy all the available enhancing accessories or gaming gears. They make sure, they experience an out-and-out entertainment. Even if you want to witness an uncompromising gaming flavor, not all of those available gaming gears are essential.But, certain gadgets, if utilized, will present an out-of-the-world experience. Apart from fun, people appreciate gaming as it allows them to realize their fantasy world’s pleasures. Only through gaming, we can fathom the unexplainable reveries. Hence, to thoroughly bask in the virtual world’s escapades, it is highly essential to use supreme quality video and audio gears, as both of these are key elements of the gaming world. 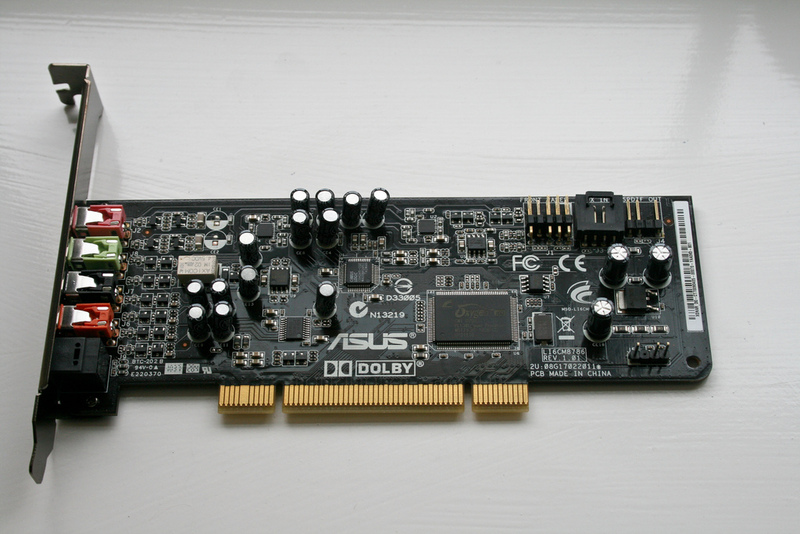 A sound card or an audio card is an expansion card, which aids the computer in processing and delivering the audio signals. The then peripheral devices are now integral parts of the modern motherboards and hence are inbuilt or onboard. Therefore, these days, without any added sound cards, you will be able to listen to music or hear the gaming sounds quite effectively. Then what does a sound card really means in this advanced world, that too, with respect to gaming? These audio cards are nothing but the audio enhancers designed particularly for those who want to enjoy the uncompromising audio quality. If you are an audiophile, then obviously sound card is your must-buy accessory. These gaming specific sound cards, when replaced with your ordinary sound cards offer enhanced audial benefits. Why do you need a sound card for gaming? It is a no-brainer to say, visual effects are the most appealing aspects of the gaming world. We naturally get attracted by the visual treats more than the audio effects. But this doesn’t mean we can completely neglect or compromise on audio quality. What thrill beholds, if thunderous shooting scenes related with poor and meek audio effects? Without proper audio quality, the fun aspect of gaming is not justifiable. Hence, the usage of sound cards offers an amplified, high-quality, surround-sound, making virtual gaming, a more immersive experience. If your gaming software comes with a high-quality audio source then definitely a good quality sound card is required to do the justice. But, it is no good in investing in an expensive sound card, if your audio gears are of low-quality ones. Your sound card and audio gears have to synchronize to enjoy the fascinating surround-sound, which sends a chill to your spine when listened. Also known as the basic motherboard sound cards, provides a satisfying sound effect, better for all common purposes like music, video-conversations, low-effect gaming etc. These sound cards emphasize the usage of external hard drives such as USB or FireWire port to experience the enhanced sound effects. Though the naming suggests it’s exclusively for gaming, nevertheless, you can use it for other business purposes too. These gaming cards are developed, keeping in mind the high-quality, surround-sound requirements of the high-end games, as the source audio of such games is of superior quality. These sound cards are capable of filtering the noise effects and hence you can indulge completely in your gaming world. Thus, even though the sound is a subjective term, if you are an audiophile and a gaming geek, then you won’t regret investing in advanced sound cards, as you will be experiencing the dual threats of high-quality video and audio. Gaming Glasses look like the normal glasses, the only difference being a tinted one. If one thinks about the need for gaming glasses, then it is time to think twice. It is because gaming glasses are of great help for people who suffer due to eyestrain and headaches due to long hours of playing. Though they look completely like normal glasses, they are specifically designed to reduce the glare from the screen, increase the contrast and get rid of unwanted light that has the ability to get deep into the eyes, thus causing damage to the retina. It is important to know about the common features of gaming glasses before buying one of your choices. Here are some of the factors that make the gaming glasses one of the essential gaming gears. Glasses that have an anti-reflective coating is far more superior than those without the coating. When the glare in the glass is reduced, it would result in much less strain and reduced vision problems. A glass with good anti-reflective coating helps in reflecting the unwanted glare that is coming from light sources. When you go to select a good glass with an antireflective coating, be sure not to select glasses that have sprayed coatings on the lenses. These sprayed coatings can be easily scratched or damaged when exposed to extreme weather conditions. Blue light is very bad for everyone’s eyes. It is common to get exposed to blue light when one works in front of the computer. As Blue light has more energy, it easily reaches the retina and causes damage to it. This causes damage to the light-sensitive cells in the retina. Some might even experience permanent vision loss due to too much exposure. Hence, choosing gaming glasses with tint is always better than without it. There are so many glasses designed to protect the eyes of those who suffer from dry eyes. These gaming glasses have a separate eye cup or gasket, thus creating a moisture chamber around the eyes. This design slows down the evaporation from the eyes and at the same time, create a clean space around the eyes. Buying gaming glasses with the moisture retention capability reduces the pain and irritation in the eyes due to dryness. Increased contrast is a comfortable feature but it is not a necessity. Increased contrast means that the image on the screen is made sharper. The view is magnified by the gaming glasses by 0.20x to make it sharp, slightly clear and seems to be a little closer to the eyes. Though there is much criticism on this factor like the distraction due to magnification, many gamers still love this feature as part of their gaming glasses because it makes the images look precise. If you are still not satisfied with the usefulness of the gaming glasses, then you really need to check it out yourself to believe it. When you see it you believe it. It might not be of much use to those who don’t get any eye fatigue and strain. But if do get those irritations and still don’t want to invest more money on gaming glasses, then there are many ranges of gaming glasses that are available at affordable rates. Why do you need gaming glasses? Gaming glasses are special glasses that you wear when playing video games, 3D simulation games and so on. With great advances in virtual reality gaming, the equipment required for playing these games have become a necessity. The mouse and board games are not enough anymore. It takes advanced equipment like gaming glasses, VR headsets etc., to enjoy the technologically advanced gaming experience in the market. Gaming glasses were primarily designed to reduce the glare from the ultra-bright 3D video games. 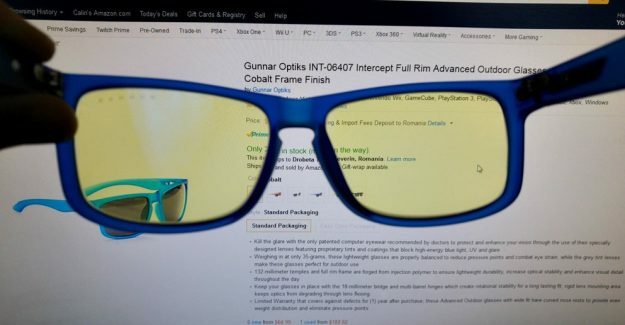 These gaming glasses reduce the effects of the potentially harmful blue light and UV rays emitting from the blue-ray gaming discs and screen. Computer glasses and gaming glasses have been on the market for quite some time now. Though there have been apprehensions about their actual effectiveness, gaming glasses, and other gaming gear have become an integral part of the gaming industry. What are the benefits of a good quality gaming gear? Good quality gaming gear protects your eyes. A patented eyewear or a headset is properly balanced and reduces the strain on the eyes. They have a uniform pressure distribution which apart from reducing the strain and improving visual detail ensures optical stability. This allows the wearer to use them for a comparatively long period with reduced eye stress. Many avid gamers and experts do vouch for the scientific designing of these gaming gear and glasses. Gaming glasses help a lot in reducing overall eye fatigue. The lenses are the important part of any eyewear. In a gaming glass, the lenses are designed scientifically to deflect light and prevent the eyes from becoming dry because of excessive light. These gaming eyewear lenses reduce the strain of the eye muscles which is a common drawback of close monitor viewing during a game session and helps your tired eyes to relax. Most of the gaming glasses come with a yellowish tint. The high-intensity light that comes from the monitors causes damage to the eyes because they find it difficult to adjust to the fast-paced contrasting lights on-screen. The tinted lenses reduce the harsh and fast-paced light changes. Does a gamer really require gaming glasses? The main objective of these glasses is to reduce eye fatigue. Adherents of these gaming glasses do say that the specialized gaming/ computer eyewear has improved their ease of 3d and simulation game viewing. Gamers do claim that their eyes feel less tired after using these glasses for a certain period. The light emanating from the screen/ monitor is softened and not changed or made plain. Therefore, the excitement and thrill of the game are also intact. Thus, the gaming glass seems to improve the overall visual experience. Overall, it can be safely said that the gaming gear and gaming glasses do improve the quality of your gaming experience and offer decent protection from potential damage to the eyes.Staring at the monitors and gaming screens for a long time has become a constant part of our lives. Eye fatigue can pose certain risks and problems eventually. Therefore, eye protection cannot be ignored. Gaming glasses are necessary. Scout the market for a good quality pair and give gaming glasses and headsets a trial to see whether they make a difference. Have you ever pondered why the gaming geeks are so hog-wild about the gaming world? You are not alone! Many consider gaming is a crazy habit. But it is not so; gaming not only supplies you with thrilling experiences but also with thought-provoking ideas. It all depends upon the gaming genres you opt for. So, gaming is an all-in-all solution constituting both entertainment and enlightenment. If you had abandoned gaming, unaware of the above prominence, it is never too late to join the gaming wagon. The gaming experiences are the best when equipped with essential gaming accessories or gaming gear. Whether you are fighting to prove your supremacy in gaming or just entertainment is your perspective, without the right gaming gear, all goes down in the void. All of these need various essential gaming accessories to fully realize its power and immerse thoroughly in the virtual world. The PC and Console gaming are the most popular gaming types. Irrespective of the technology and genre pursued, following are the 5 essential gaming accessories any gamer must procure. 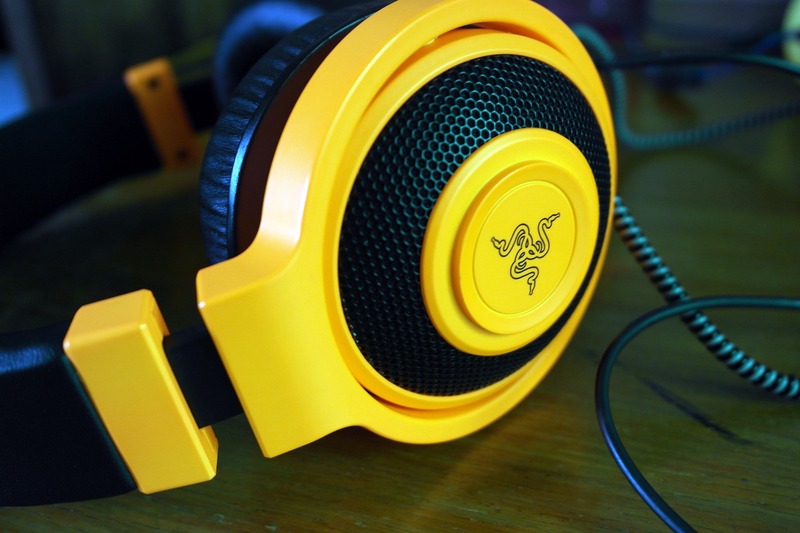 A headset is an important gear not only for the multiplayer gaming set-up but also for any gamer who wants to experience the surround-sound effect. 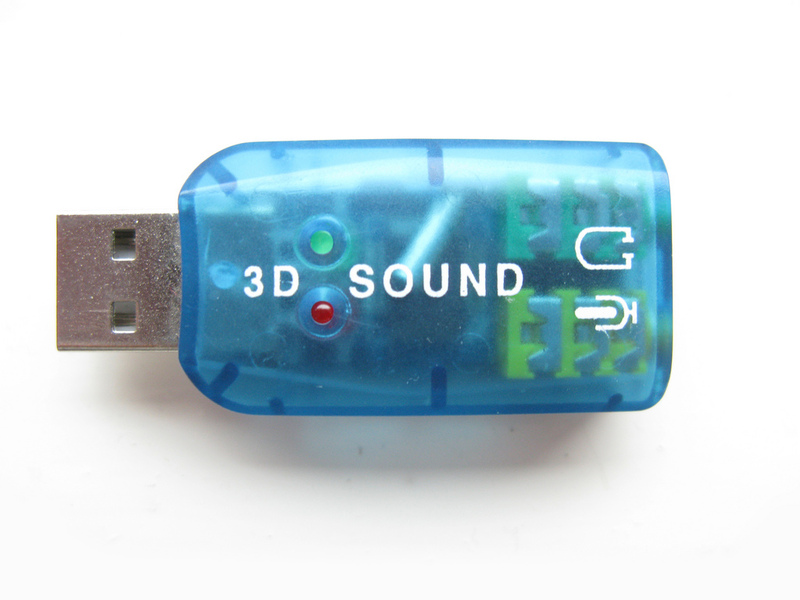 Sound quality is the core necessity for any gaming, especially if you want to indulge thoroughly in the game. When you want to hear the surreptitious movements of your virtual opponent, every minute sound matters. Also, in a multiplayer environment, high-quality headsets facilitate crystal clear communication. Headsets are crucial if you are a night-time gamer and do not want to compromise on the spine-chilling sound effects of horror or action games. Hence, for the compelling sound effects, don’t hesitate to invest in an advanced headset, although it is bit expensive. Eyewear is not only vital in terms of gaming perspective, but also on health perspective. Gaming long hours can strain and irritate your eyes. It is not wise to compromise on your health for the sake of entertainment. 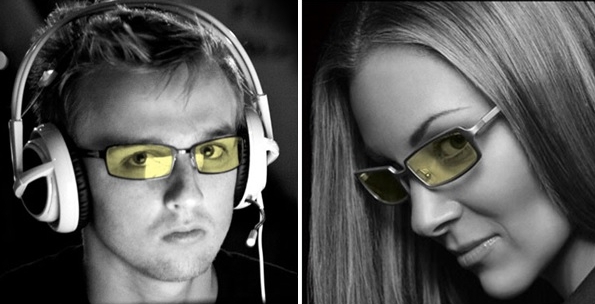 The gaming glasses can save you from major eye ailments. These glasses come with anti-glare coating and can protect your eyes from harsh lighting. Also, it provides slightly magnified view and hence better when spotting minute objects of gaming. Gaming chairs protect you against severe back pains and posture problems, which may occur due to improper seating positions. Don’t mistake it as any fancy office chair. Designed with ergonomics as the prime consideration, these chairs can save you from getting a hunched back. High definition monitors are essential to experiencing the high-quality visual effects. Without adequate picture quality, it is impossible to enjoy gaming. Also, to visually embrace the fantasy world, the monitors should come with reasonable display size. Gaming monitors with better response times react quickly to inputs. Invest in gaming monitors that combine the benefits of all the above-mentioned requirements. An overlooked, yet significant gear is gaming gloves. Most of us face sweaty hands or cold hands problem while gaming. It is because we are surrounded by excessive heat, it is quite normal for our hands to display the above characteristics. If your hands sweat or turn cold, it will be difficult to continue gaming. Investing in proper gaming gloves can save you from this problem. The aforementioned accessories are common for any gamers and are highly essential to witness trouble-free, quality gaming.